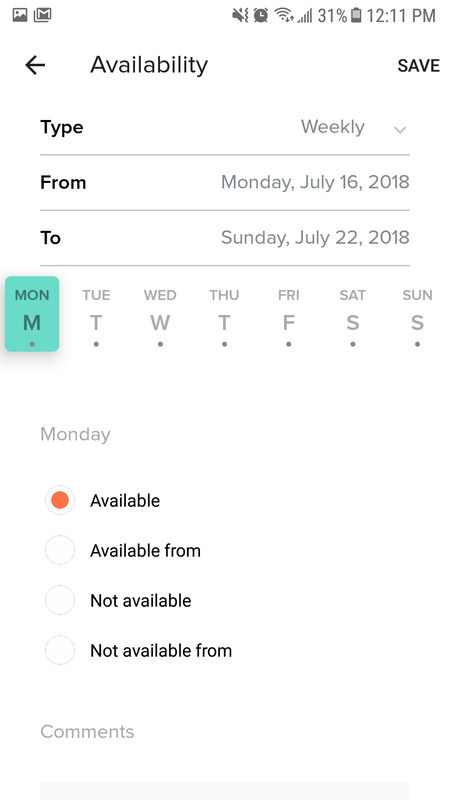 Before submitting your availability to your employer, it's important to understand the difference between submitting Availability and Time Off. 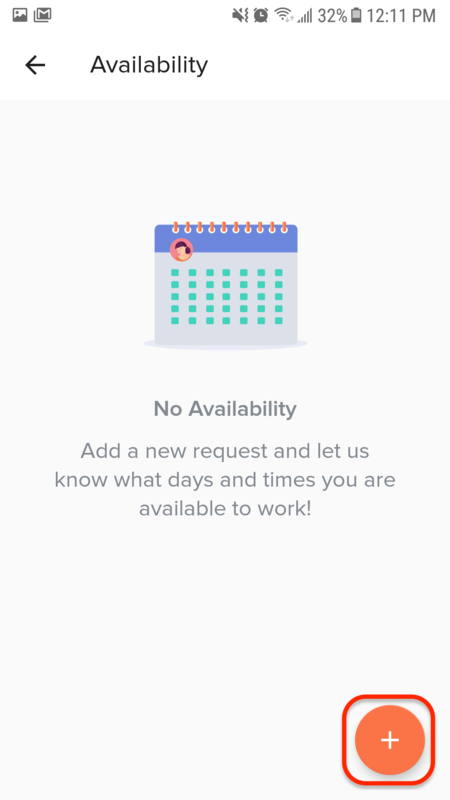 Availability: Use this to communicate to your manager which days of the week, and times of the day, you prefer not to work. This could be due to school, other jobs, or other commitments. 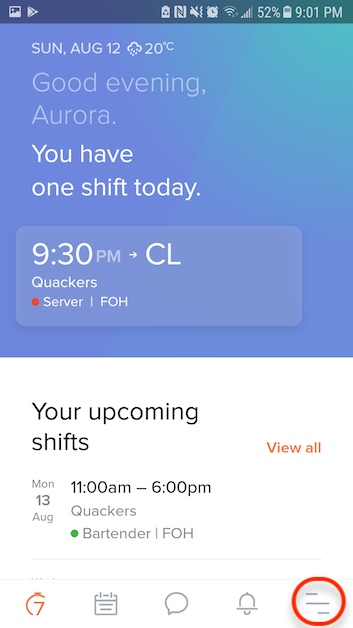 Time Off: Use Time Off to request vacation time or ask your manager for specific days you need to take off. 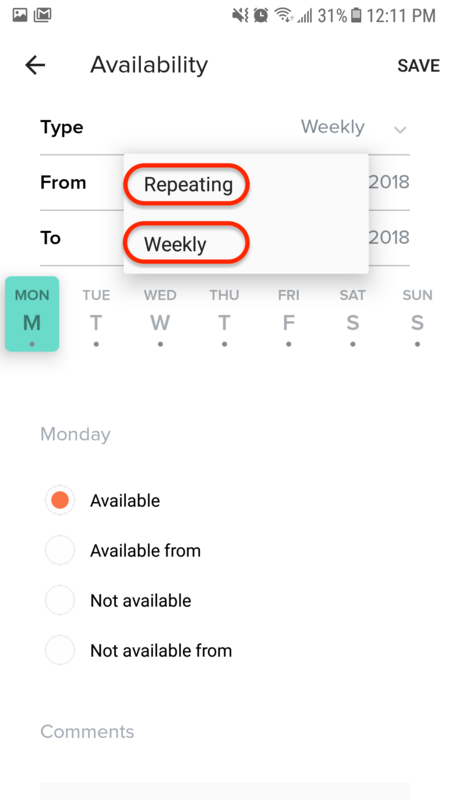 If you are unable to select Weekly Availability, it means that your manager disabled this option. 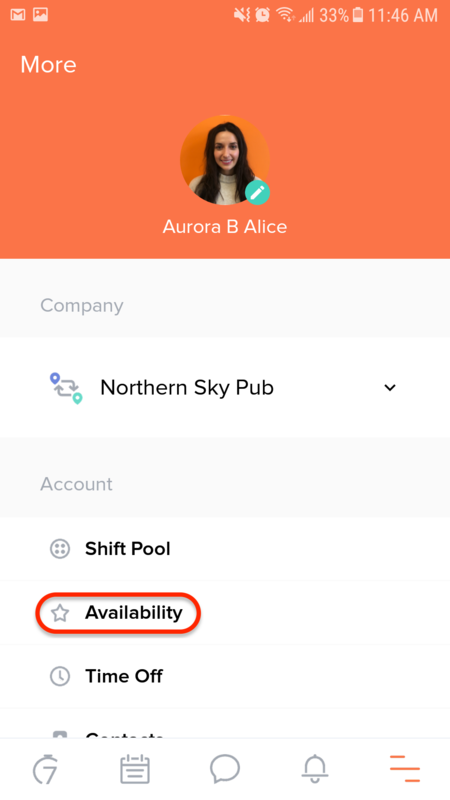 Once you are done, tap 'Save' and your manager will be notified of your Availability request. You will be notified via email or sms/push notification when the request is approved or declined.